Congratulations to giveaway winners, Laurie Cullen and @idahobucketlist! Is there a person alive who doesn't enjoy opening a pop-up card? I don't think so! The surprise factor brings out our inner child and we marvel at the clever construction. 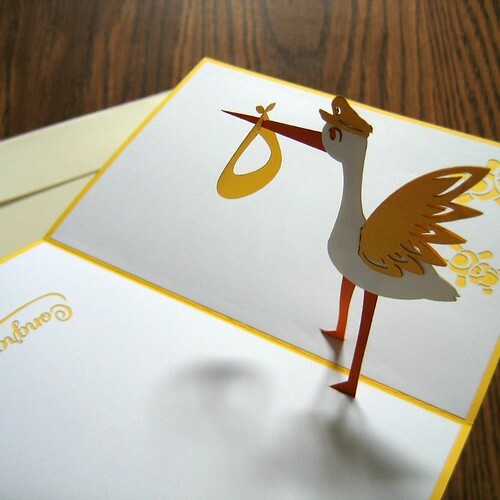 LovePop Cards of Boston creates laser cut designs for all ages and occasions with styles that range from fun to elegant. A 2014 giveaway here on All Things Paper when LovePop was a brand new start-up proved to be so popular, I readily agreed to feature some of this year's Valentines and host another giveaway. The company has continued to grow and even won on SharkTank without losing its personal touch and friendly customer service. 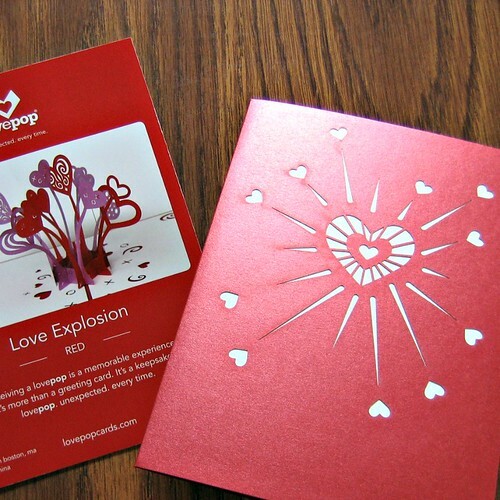 This Love Explosion card is a fave of mine... from the beautiful sheen of the front to the swaying hearts inside. 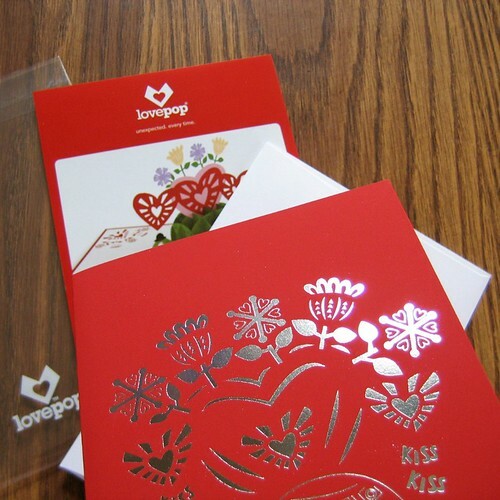 The use of high quality card stock, clear protective sleeves, and sturdy mailers assures that LovePop Cards arrive in pristine condition. 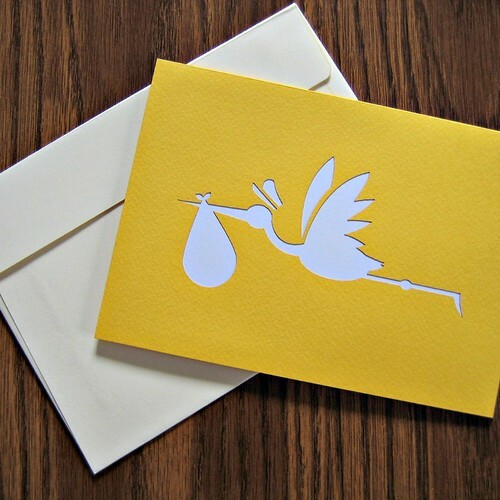 Sign and send them on to recipients knowing they'll be considered 'keepers'... the type of card that won't be quickly tossed after the occasion has passed. 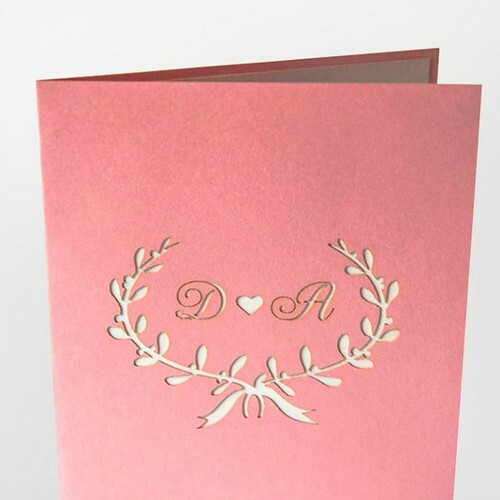 This Valentine's cover is just as special as the interior... it features shiny silver debossing. The turtle made me smile as he's giving the bouquet on his back the side-eye. Such cute little feet and a silly hat too. The corner cut-outs are a nice touch. 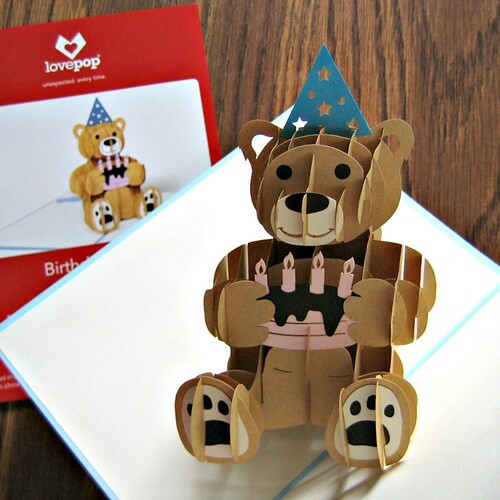 Here's another example of a card front with a cut paper motif that carries through to the bear-y adorable fellow inside. Perhaps you're in need of a child's birthday card? That's cool... another version equips the little guy with a party hat and cake. Now about the giveaway! The nice folks at LovePop Cards will be sending two U.S. winners three cards of choice. If you are anti-Valentine, no worries - choose whatever cards you like! There are designs to express thinking of you, get well, thank you, sympathy, congratulations and more. Pressed for time? 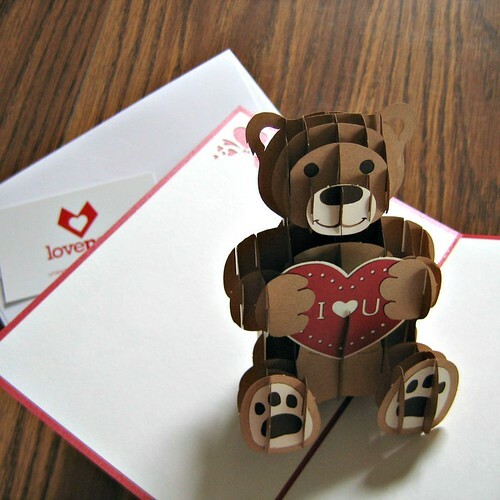 Let LovePop write your note and mail the card directly to the recipient. They'll even design custom wedding invitations. To enter, name the occasion for which you're most likely to send a card. Be sure to include a way to be contacted within your comment if you are one of the randomly chosen winners. NEW: For those who would rather not visibly post an email address, comment here as usual and then send me a quick message at ann.b.martin at gmail dot com so I will have a way to contact you. If you are on Instagram, double your chances of winning by following the easy directions on the giveaway photo. The giveaway will run through Monday, January 25, 2016. Winners will be announced at the top of this post and on the Instagram photo. Good luck! Visit LovePop Cards and follow them on Instagram and Facebook to see new releases. By the way, shipping on U.S. card orders is free! Love the pop-up elements to these cards! I've got quite a few birthdays coming up in March, so they would be a nice dimensional surprise! Thanks! Love these cards! (and your blog and instagram). I love sending birthday cards. Will message you my email address. 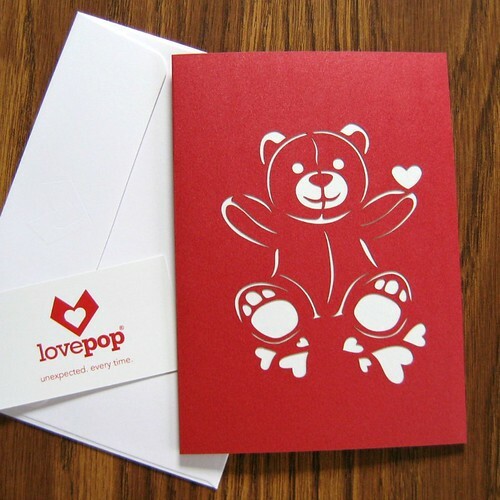 I'd love to send a LovePop card for Valentine's Day! I love your cards! I'll send my email privately. Thanks for adding beauty to our world. I send a lot of birthday cards, and of course my spouse gets a Valentine's card. My totem is the turtle, so that card would be especially appropriate! The occasion for which I send the most cards is a birthday, though I like to send messages of cheer in general. The cards are remarkable in their intricate engineering, what a great giveaway. Messaging my contact information. Thanks. Such FUN cards...you are right about everyone loving a popular card!!!! I often send thank you cards & if I win, I'll have my daughter in USA make a choice for herself. Comment on my blog to contact...I'll receive it in my email. Thanks! These are awesome! I love the creativity. Beautiful! Would love to win, especially with my mom's birthday and of course, Valentine's Day coming up! I've never seen girlfriend's eyes light up the way they did when I gave her the first LovePop card she had ever received. I'd love to do it again because it was a very magical moment for both of us. These are delightful. I like to send cards for birthdays and also "just because". OMG - I would LOVE to have three extra Valentines to send to friends! I will already be sending a few - but it would be terrific to be able to send more! Love your cards! Birthday cards are what I mostly send! Will send e mail addy Thanks for the chance to win! These cards are so amazing! I send more birthday cards than any other kind. I love these love pops. The best cards I've ever been tempted to purchase. These cards are keepers to be displayed and enjoyed for many years. I sure would enjoy winning the giveaway. Thanks for the opportunity. Usually send cards for birthdays and congratulations. The LovePop cards are exquisite. Thanks for the giveaway. I send cards at Christmas, birthdays, Halloween, and Valentine's Day. Thank you so much for the giveaway! I send tons of cards through the year...I suspect the most often sent are birthday cards. These are brilliant! I am most likely to send a card for a birthday. These cards are so yummy such awesome construction. I send a lot of birthday cards I think with all the social media well wishes a person should still receive some happy mail on their birthday! Thanks for a chance to win. The giveaway has ended. 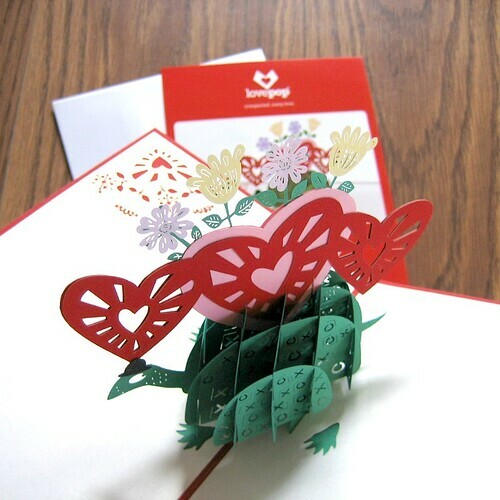 Thanks for your enthusiasm for LovePop Cards! Really, It's a delightful work.